rotochute is based on icinga2rt and much of the code originates from there. 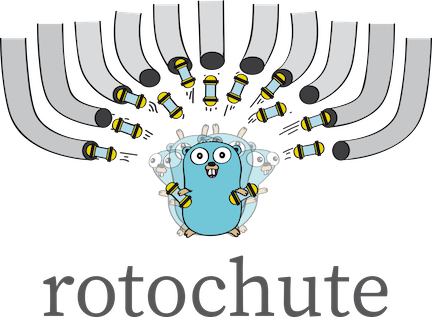 rotochute adds the ability to work with the RT-REST2 api. rotochute is a tool which automatically creates, updates and closes request tracker tickets on status changes of hosts or services monitored by icinga2. A configuration is expected to be in rotochute.json, other paths can be used with the -config switch. The rotochute.json.example file is a good starting point for a config. rotochute supports the traditional RT-REST api as well as the newer RT-REST2 api. The latter can be configured either with http basic authentication as well as token-based authentication (please refer to the RT-REST2 docs for this). If the User is set to “” in the configuration, the token based authentication scheme is used and the string given for the password becomes the token. If parts of this are used, comments (//…) must be removed. Using the -example switch is recommended. "Nobody": "Nobody", // A Request Tracker ticket is unowned if owned by this user. "ClosedStatus": [ // List of Request Tracker stati for which tickets are considered to be closed. old state: one of UNKNOWN, WARNING, CRITICAL, OK or an empty string for non existing tickets. owned: one of true or false. should be false if old state is the empty string. The values supplied are read case-insensitive, but the values provided above are preferred. Lines can be commented if their first character is #.